This course will explore the prevalence of children’s media use, many of the media effects that are of most concern to those interested in the well-being of youth, and the social scientific theories that explain how children’s brains cognitively and emotional process media content. Finally, the course identifies specific strategies that can be taken to help youth avoid the potentially negative effects, and enjoy the potentially positive effects, of media exposure. Identify the types of media content that may be harmful or beneficial for children’s well-being. Describe the media effects that receive the most attention by parents, educators, health professionals, and policymakers. Discuss several scientific theories that help explain why children are affected by media exposure. 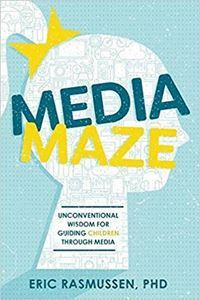 Identify specific strategies for helping alter how children are affected by media exposure. This home-study course outlines the various factors that make foods palatable. It provides evidence that the "hyperpalatability" of our current food supply is undermining our normal satiety signals, motivating the drive to eat even when there is no physiologic need for food. This course presents evidence that repeated exposure to high quantities of palatable foods (i.e., those high in sugar, fat and salt) can alter the brain in ways similar to drugs of abuse, essentially "rewiring" the brain to promote compulsive eating and loss of control over food. Millions of us struggle with sleep several nights a week, if not every night. In the The Healing Power of Sleep, Dr. O`Brien explains the basics of sleep architecture, the effects of common illnesses on sleep, how our daily habits can help or hinder sleep, and straightforward solutions. Do you want to live the longest, healthiest, happiest life you can with the best mental and physical functioning? This home-study course is literally about the secret to life: the lifestyle choices you can make that will increase the odds of having the longest and healthiest life you can. You will find out that there are 16 lifestyle characteristics that these oldest people tend to have in common, no matter where they live in the world. Copyright © 2019 INR Books & Homestudy. All rights reserved.